Jack Pennington passed away. I do not know whom to contact. 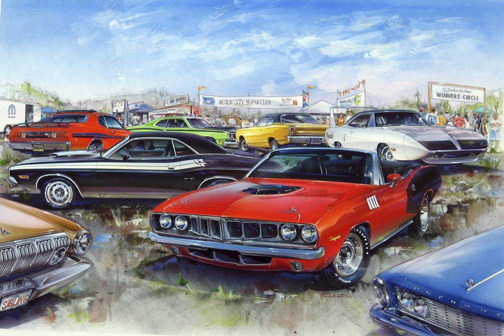 Classic Auto Renderings regrets the loss of a very fine artist.His paintings show a diverse selection of muscle cars and racing cars as well as an antique Rambler and a Chevy pick-up. Artist like him do a credit to representing the era of our times through his art. Rick Herron at 703-569-0166 or ClassicAutoPicks@aol.com. Click here for Jack's biography.